The Cuetec Q-Safe Deluxe Hard Cue Case has an oval shape with a soft PVC outer covering. It holds 2 butts in one compartment and 2 shafts in another for added protection. Two large zippered pockets give you plenty of room for all of your playing accessories. 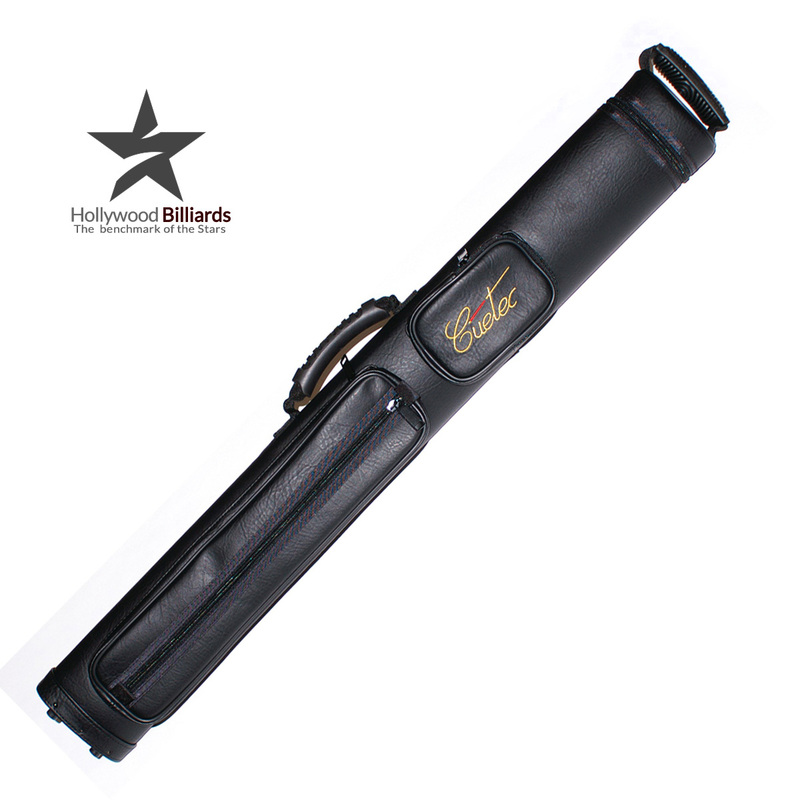 The Cuetec Q-Safe Deluxe Hard Cue Case has an oval shape with a soft PVC outer covering. It holds 2 butts in one compartment and 2 shafts in another for added protection. Two large zippered pockets give you plenty of room for all of your playing accessories. Adjustable shoulder strap and 2 comfortable padded handles.